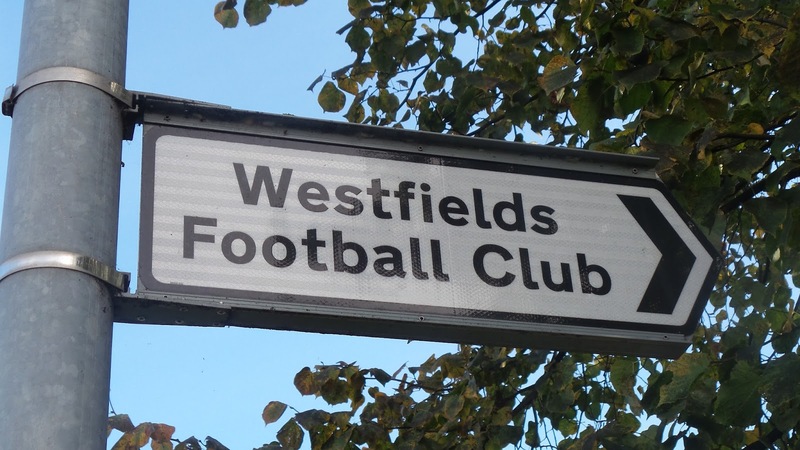 WESTFIELDS were formed in England's 1966 World Cup winning year and were initially a youth side who played friendlies on the local park. One of those youths, Andy Morris is still at the club as it's chief executive. Initially playing Sunday League football, they progressed into the Worcester & District League. 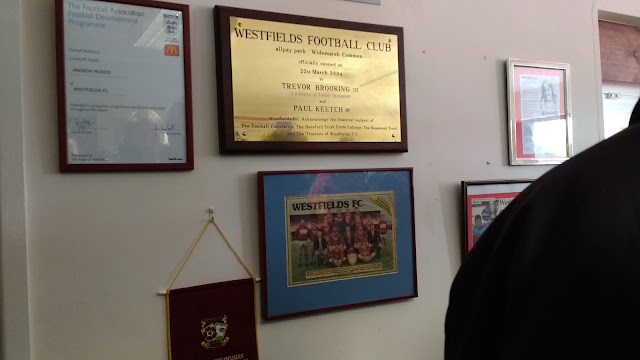 The real turning point came in 1978 when they joined the West Midlands Regional League. 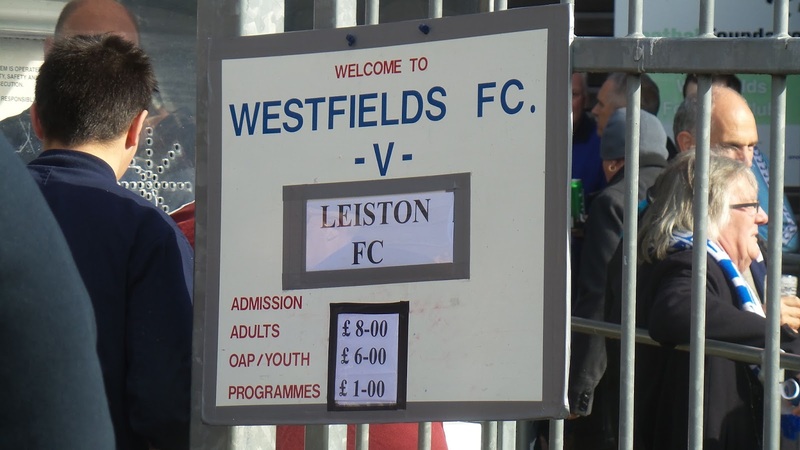 Initially starting in Division 2 , they spent 6 seasons there before a runners-up spot was enough to see them promoted. They adapted to the step up well, winning the league at the 3rd attempt to gain promotion to the WMRL Premier in 1988. 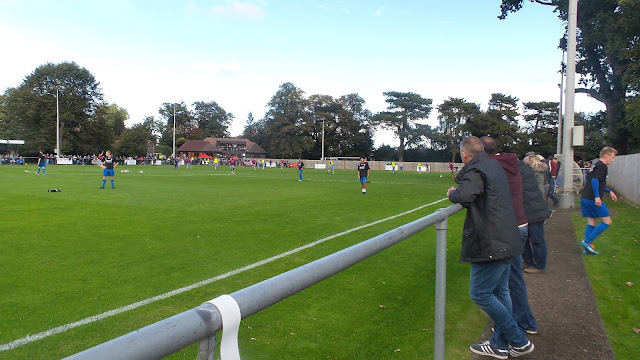 Generally they found things tough going here, but one of their good seasons in 2002/03 saw them make the step up to the Midland Alliance, later to be branded the Midland League. Since then things have gone very well, finishing runners up in 2012 and 2013, just missing out on promotion to the Southern League. Things have tailed off since then and last season they finished a disappointing 16th, though they are right up there at the top this season, even after missing some weekends due to cup commitments. In fact they have been mighty impressive all round, having won every single game this season in all competitions. 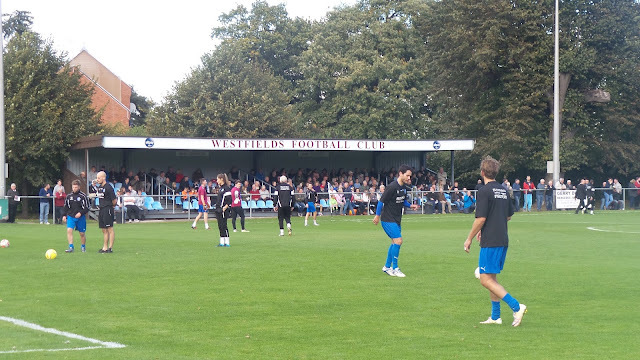 Westfields have regularly had good runs in the FA Vase, even if they have never really got that close to Wembley. 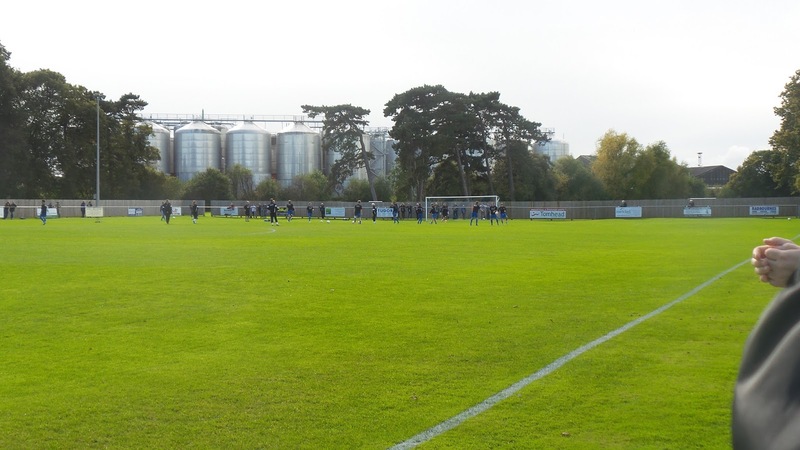 They've made the 4th Round twice - losing to Luton-based Vauxhall Motors in 1986/87 and Morpeth Town in 2013/14. 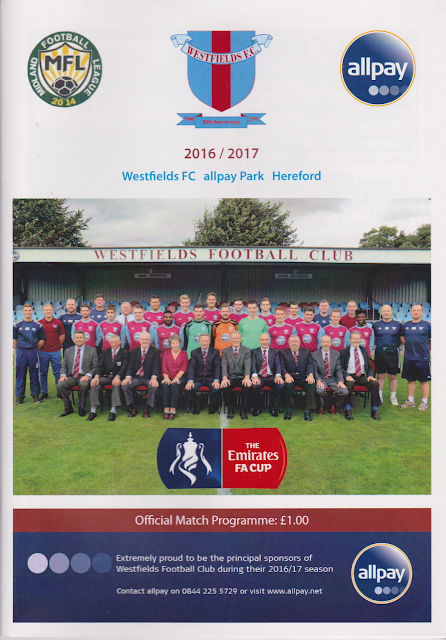 The club won the Hereford County Cup in 2003, but it's the FA Cup that has put the club on the map this season. 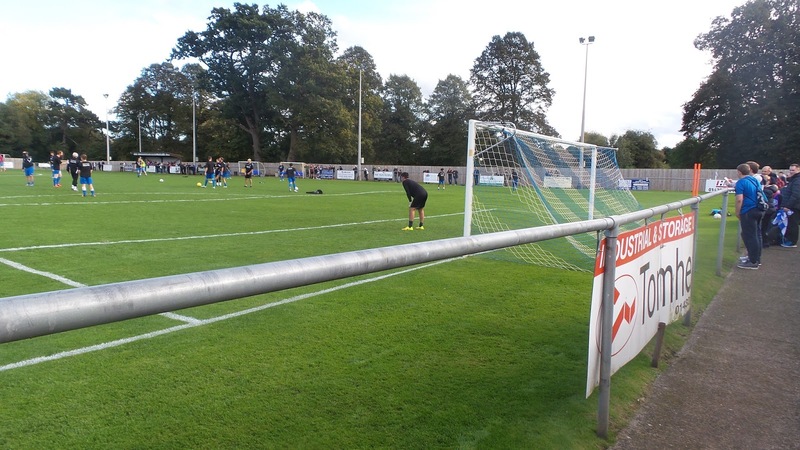 Prior to this year their best run came when they took Solihull Moors to a 2nd Qualifying Round replay. They've well and truly beaten that this year and today's 4th Qualifying Round game was made possible with victories over Stourport Swifts, Tividale, St Ives Town, Highgate United and Walton Casuals. 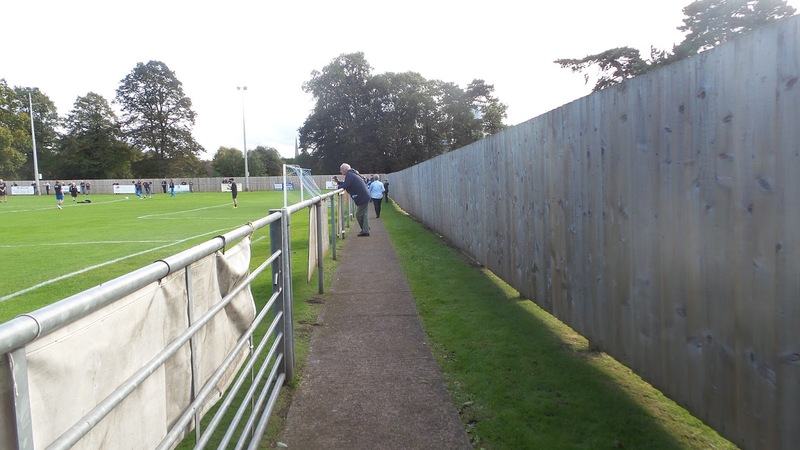 The ruthlessness of which they disposed of the higher step St Ives (step 3) and Walton Casuals (step 4) have been the most impressive, with them being sent packing after 4-0 humblings. Originally on this day I was going to go to Mansfield Town v Wycombe Wanderers, with it being pencilled in at the beginning of the season as I always enjoy visiting their town centre. However, owing to Wycombe's dull standard of play and general poor form, I decided against it a couple of weeks ago. 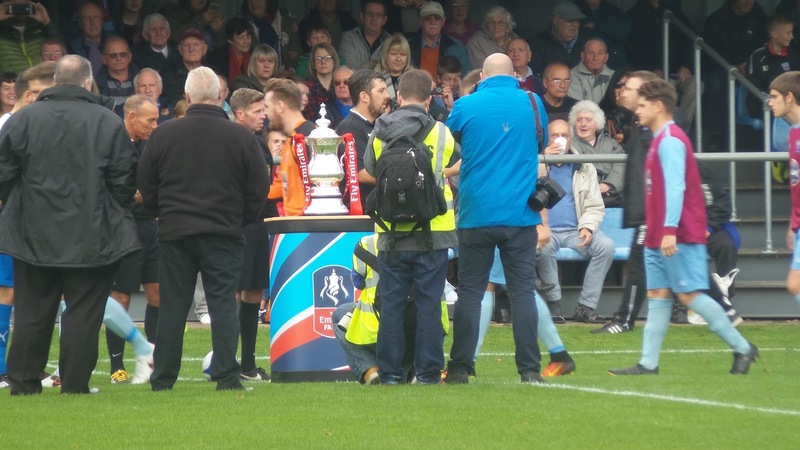 The FA Cup 4th Qualifying Round was the big draw, with unvisited grounds at Taunton Town v Hemel Hempstead, North Ferriby United v Macclesfield Town, and the most likely as it was nearest Westfields v Leiston. 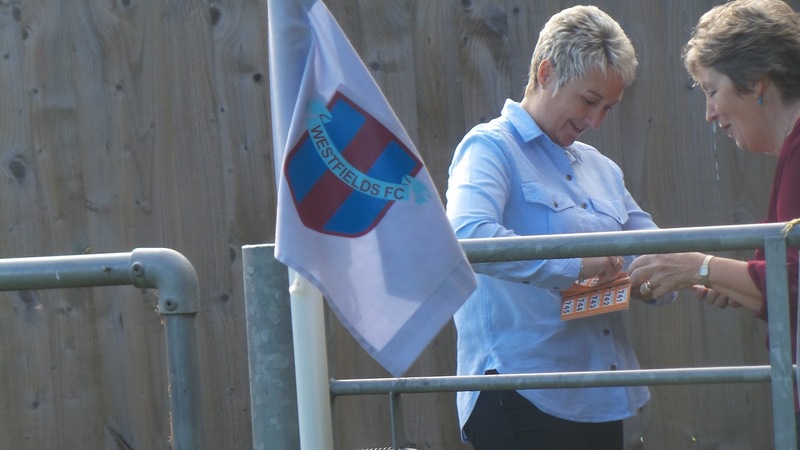 I did briefly consider revisits to Harrow Borough or Egham Town to save money, but there was a real buzz on the Westfields Twitter feed and there was a real chance that history could be made. I did consider a morning game also, but the nearest at Gornal was too much of a detour to make it worthwhile. 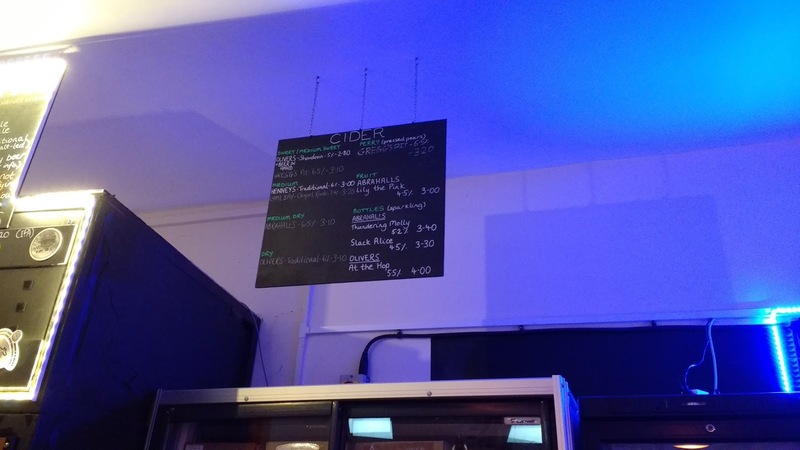 The plan was to drive to the ground, park up, purchase a programme and walk into town where there were a huge number of cider pubs that I could use. I couldn't persuade either of my regular hoppers to come with me, so I'd be on my own. I did briefly consider taking the train but at with the return price utterly ludicrous as per usual, I'd have to make my own way. It would end up costing me about £40 all in (including fuel), but turned out to be worth it. 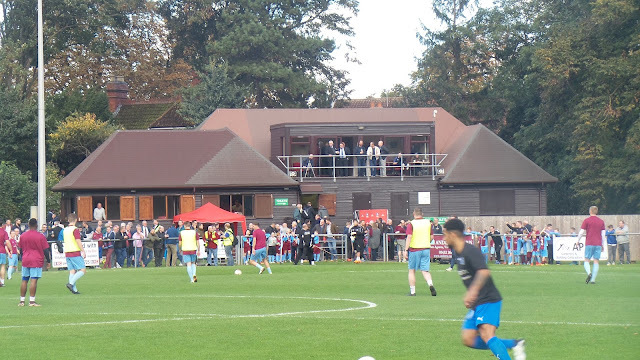 I had considered going to FC Elmstead v Sporting Club Thamesmead on the Friday night, however I decided against it as I was well behind on my blogs and needed to catch up. As it was, due to various factors I ended up staying at work until 5PM anyway, feeling a bit jaded after a 12 hour shift. Normally I have a few drinks on a Friday night to unwind, but for whatever reason I wasn't in the mood. At least I caught up on my blogs, even making a start on this blog. I woke around 8am on the day of the game and after getting ready, relaxed for a bit. My original plan was to leave around 10.40 although a few things cropped up that I needed to take care of and I didn't end up leaving home until 11. I was further delayed by having to stop for petrol but I was still estimated to arrive at the ground in good time, even if I had to go a longer route than originally intended due to delays on the route via Gloucester. Normally the M40 is kind to me, but on this occasion I was held up by roadworks near Oxford, then 2 utter planks who had an accident and decided to swap details in the fast lane rather than pulling over to the hard shoulder. There were further delays and I ended up getting to a nearby side street just after 2. My original plan was to park up at the ground and walk to a micro pub called 'The Beer In Hand' But with me wanting to make sure of getting a programme, I went straight in. The place was abuzz with FA Cup fever, with the trophy in attendance. There were queues but the facilities were excellent. 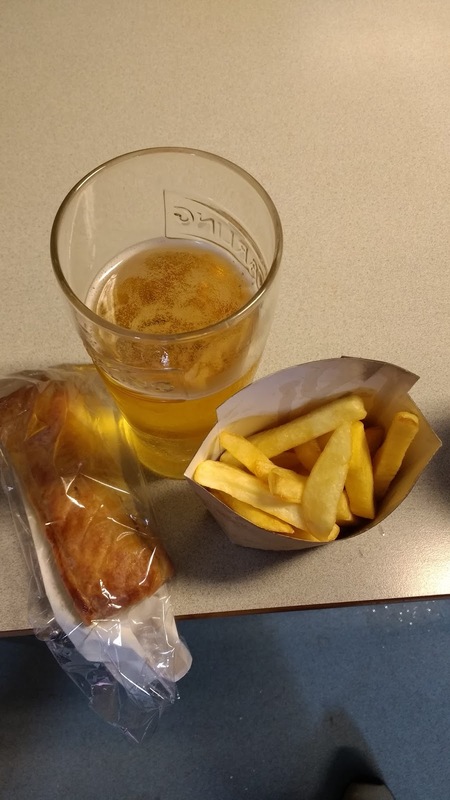 I had a very good sausage roll and chips for £2, as well as a pint of Strongbow for £3. It's not the best, and pretty bland, but at least it was local with the factory clearly visible behind the far goal. With around 20 minutes to go until kick-off, I went out and got some pictures of the ground before finding a spot on the halfway line. I was looking forward to seeing history being made, and I wasn't disappointed - the non-league paper report is below. So, it had been a real corker of a game, and a result that proved the FA Cup still has magic in abundance. 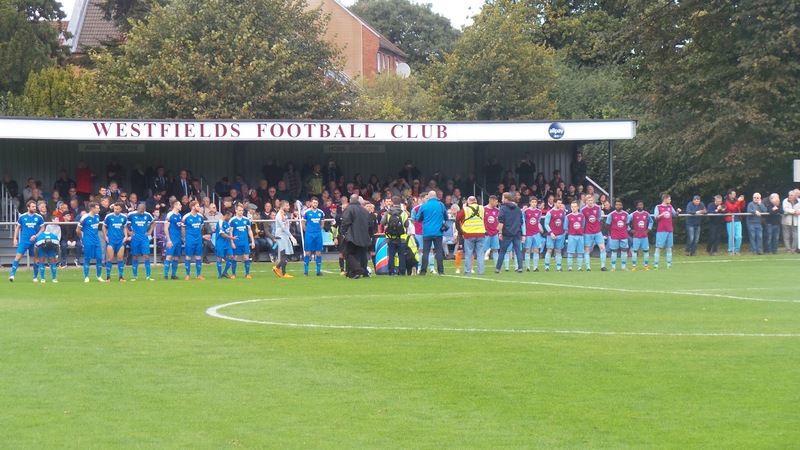 Westfields become the first step 5 club to reach the FA Cup 'proper' rounds since Tipton Town and Hythe Town 6 years ago. I left the ground just after 5PM, with plans still to visit my earmarked micro pub as they did take away in 2 pint bottles. I got some Greggs Pit Perry to have later with Match Of The Day later, before having a brief look around town. I was right close to Hereford FC and it bought back memories of visiting there in the past. It's one of the places where I miss, and one that I'd like to revisit as a groundhopper and update my blog to do it justice. After spending a fiver in Tesco to cover my parking, it was 6PM by the time I Ieft. I listened to Danny Kelly on TalkSPORT on the way home, and was happy to be able to go the shorter route on the way home to save money. I got back at 8.20, with my parents kindly having bought me a kebab home. 'Boss Man' kebabs are the best in Wycombe and it's years since I had one, so I really enjoyed it. I spent the rest of the evening typing my blog, as well as catching up online. My Saturday night ende as it always does, watching Match Of The Day before going to bed around midnight, no doubt feeling tired the following morning, with me up at 4am for work. 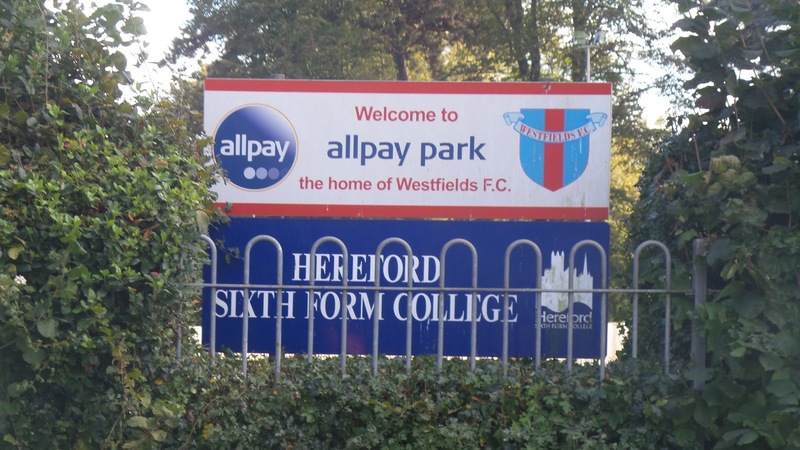 ALLPAY PARK was opened in December 2003 and got its unusual name from a sponsorship deal with a Hereford based payments firm. 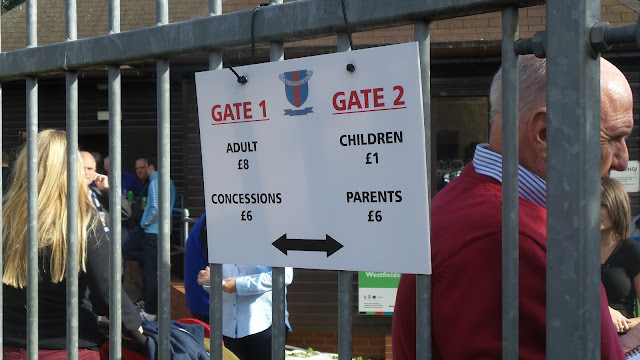 I originally visited on Saturday 15th March 2008 to take some pictures before Wycombe's 1-0 defeat at Hereford. I was impressed with what I saw - an attractive and modern ground, that should easily fit the criteria laid out for step 4 football. There was a sizeable stand for the level with around 200 seats and a smaller piece of covered standing. I was looking forward to revisiting and seeing a big game there, as well as seeing a bit for of the town of Hereford, something that had passed me by on previous visits. Though I didn't get to go into town pre-match as planned, it was still a good visit. I used the clubhouse which was excellent value, with the chips being especially nice as they were hot and freshly cooked. 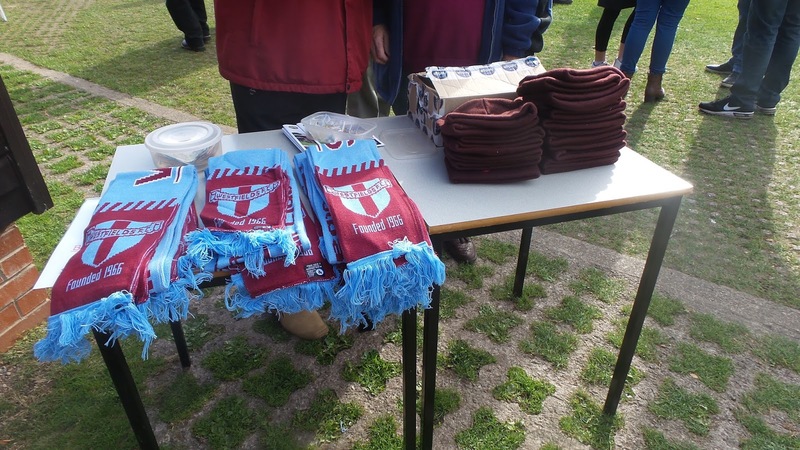 There was merchandise available too, and the whole club had a really friendly vibe about it. 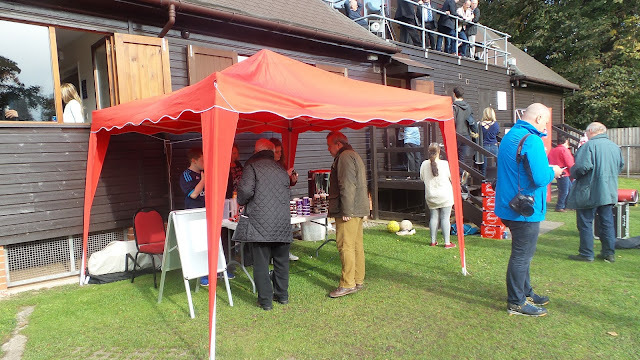 They coped admirably with the large crowd, whilst the programme was a well-produced effort for the £1 asking price.